Buy Organic Australian Coffee Beans online today! Buy some of our premium quality, hand picked and sun dried coffee beans today to experience the difference and savour the flavour of this unique Australian coffee. Naturally fermented sun dried beans, roasted to perfection. 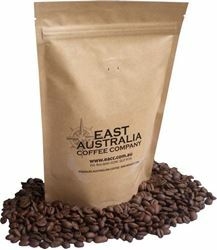 East Australia Coffee Company is proudly 100% Australian owned and operated. 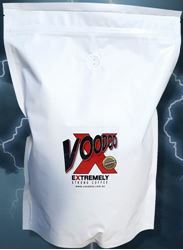 Suitable for commercial or home use, our 1Kg bags are our biggest sellers - experince the difference! Your orders will be processed immediately and disapatched within hours of us receiving them. All orders are sent via Australia postal services with tracking. Australia; a land of extremes. Extremely beautiful and awe inspiring with a dynamic, friendly culture, but also a land of extreme danger where nature rules supreme. The mission of the East Australia Coffee Company is to source the very best coffee beans grown in this wide country of extremes and blend them with our own organic sustainably farmed beans. The culmination of which we consider to be “The Ultimate Cup of Australian Coffee”. We travel thousands of kilometres through devastating cyclones, floods and bushfires, even driving through crocodile infested rivers, in search of the perfect beans. They are then batch roasted in our roastery and packaged for delivery, ready on your demand. The truly unique flavour is a representation of the country we live in. From the dense moist rainforests and dry arid deserts, through to the vibrant cosmopolitan cities built on our coastal shores - An adventure in every mouthful! We hope you have as much enjoyment consuming our product as we have had producing it. BUY SOME OF OUR AUSTRALIAN COFFEE TODAY! 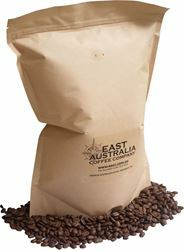 1 kilogram bag of our premium Australian beans in all natural brown paper resealable packaging. WHOLE COFFEE BEANS READY FOR GRINDING. 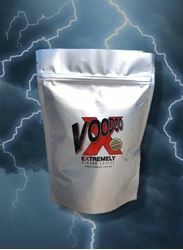 Voodoo X is certified Australia's strongest coffee with the highest caffeine content available on the market. All the best flavour with a big caffeine high! PRE-GROUND COFFEE VERSION. 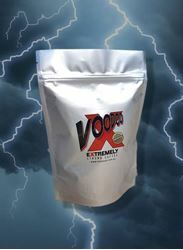 Voodoo X is certified Australia's strongest coffee with the highest caffeine content available on the market. All the best flavour with a big caffeine high! WHOLE COFFEE BEANS READY FOR GRINDING. 250gram bag of our premium Australian beans in all natural brown paper resealable packaging.